You might have noticed the new information stream at the bottom of this website, just to the left of centre. 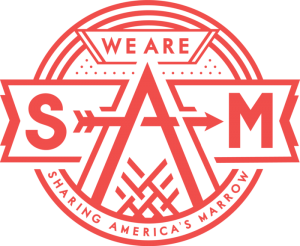 It’s a RSS feed taken from SAM (Sharing America’s Marrow) which is a really wonderful initiative being driven by two sisters, Sam & Alex along with their best friend, Taylor. 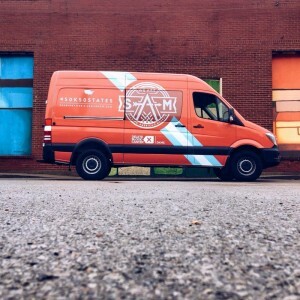 These three ladies are taking a year out of their lives to tour all the way across America, encouraging people in 191 cities to join the stem cell register. 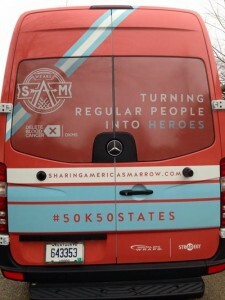 Their road trip, which is being run in partnership with Delete Blood Cancer USA, is nicknamed ’50k 50 States’ given the aim of achieving 50,000 new registrants from the 50 states – a hugely ambitious quest, which they launched in earnest last week.